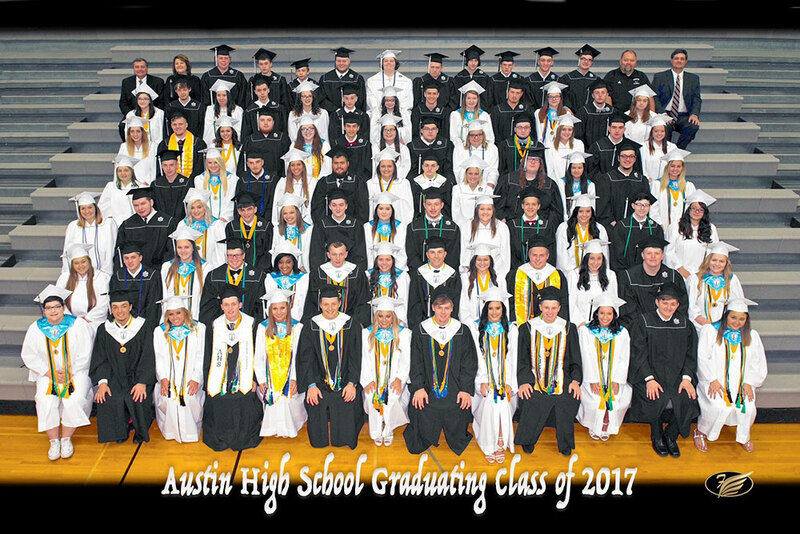 The AHS Class of 2017 graduation ceremony was held this year on May 26 in the Lady Eagles Basketball Gymnasium. There were 90 graduates from the AHS Class of 2017 and of those, there were 34 who received an Associate's Degree from the AHS Ivy Tech Early College Initiative Program. Opening remarks were given by graduate Shelby Cole, while the other student addresses for the night included: "Nobody Knows" by Jakeb Watts, "Success" by Kami Owens, and "History Has its Eyes on You" which was given by Skyler Coomer. Music for the ceremony included "Time of My Life" by the AHS Choir and a music compilation from Disney's "Aladdin," which was the Broadway show the seniors had the opportunity to see while on their senior trip this year. Principal Ryan Herald introduced the class for the awarding of their diplomas by Supt. Robert Anderson, who proceeded in congratulating the class on all of their accomplishments and awarding of their diplomas. Senior Class President Donnie Goodin then led the graduating class in the traditional "Turning of the Class Ring and Tassel" part of the ceremony. Finally, the closing remarks and prayer were once again given by graduate Shelby Cole, followed by the AHS band playing of the recessional music while graduates marched out, to conclude the AHS Graduation ceremony. But our memories are forever with us."